BUCYRUS — A Galion man is being held on a $500,000 bond after he was arraigned on two charges in Crawford County Common Pleas Court on Monday. William O. Smith, 33, is facing one count of burglary, a second-degree felony, and one charge of theft, a third-degree felony. He was arrested on Sept. 29 by Crawford County Sheriff deputies after allegedly being caught in the act of stealing firearms from a county residence. If Smith is convicted, he faces up to 11 years in prison. William C. Strohm, 31, Tiro, illegal conveyance of drugs onto a detention facility, a third-degree felony, and misdemeanor domestic violence and unlawful restraint, bond set at $100,000. Taylor Young, 19, Crestline, trafficking in drugs, a fifth-degree felony, bond set at $100,000. 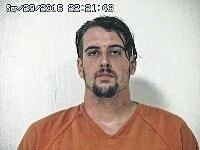 Brandon L. Brown, 32, Bucyrus, domestic violence, a fourth-degree felony, bond set at $100,000. Kaleb M. Chester, 31, possession of drugs, a fifth-degree felony, bond set at $75,000. Steven D. Beale, 48, Galion, operating a vehicle under the influence, a fourth-degree felony, bond set at $75,000. Paula R. Blankenship, 39, Bucyrus, operating a vehicle under the influence, a fourth-degree felony, bond set at $75,000. Kayla M. Folk, 27, Crestline, possession of drugs, a fifth-degree felony, bond set at $50,000. John N. Unman, 32, Mansfield, burglary, a fourth-degree felony, bond set at $25,000. Ronnie J. Gerber, 52, illegal cultivation of marijuana, a third-degree felony, possession of drugs, a third-degree felony, misdemeanor possession of drug paraphernalia and assault, bond set at $25,000. Jeanette Fast, 39, Galion, two counts of possession of drugs, fifth-degree felonies, and one count of misdemeanor theft, personal recognizance. Sha Dawn Smith, 24, Mansfield, receiving stolen property, a fourth-degree felony, personal recognizance.